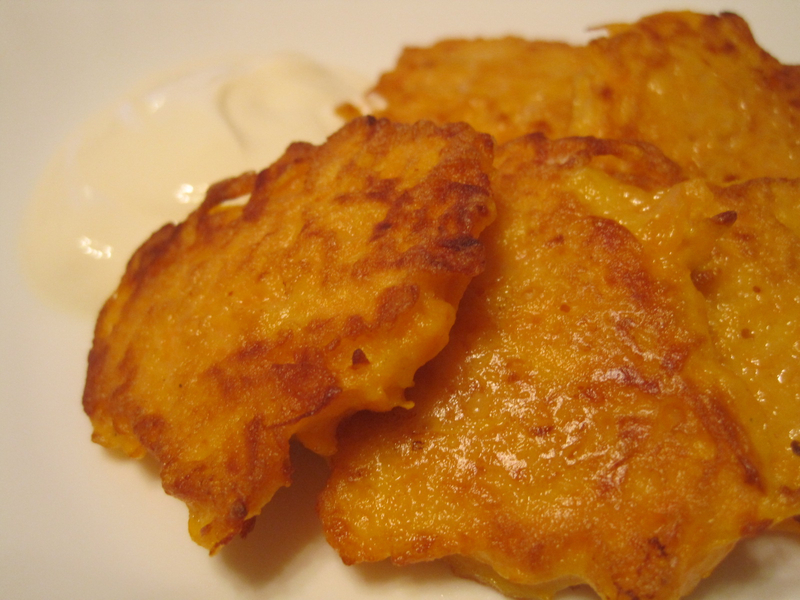 Pumpkin fritters is another dish I totally associate with Russia and childhood. All my grannies fed me with them when I was small. They are often cooked sweet and served with honey and butter. The savory version is no less popular, with so here's my incredibly simple usual recipe. Combine the pumpkin with eggs. Add the flour, season with salt and pepper and stir well. Set a frying pan over medium heat. Add vegetable oil to cover the frying surface well. When oil is hot spoon a bit of butter into the pan. When it's cooked in 2-3 minutes, try it and adjust salt and pepper seasoning. I like using a teaspoon and making small fritters. You can use table spoon to make them bigger. 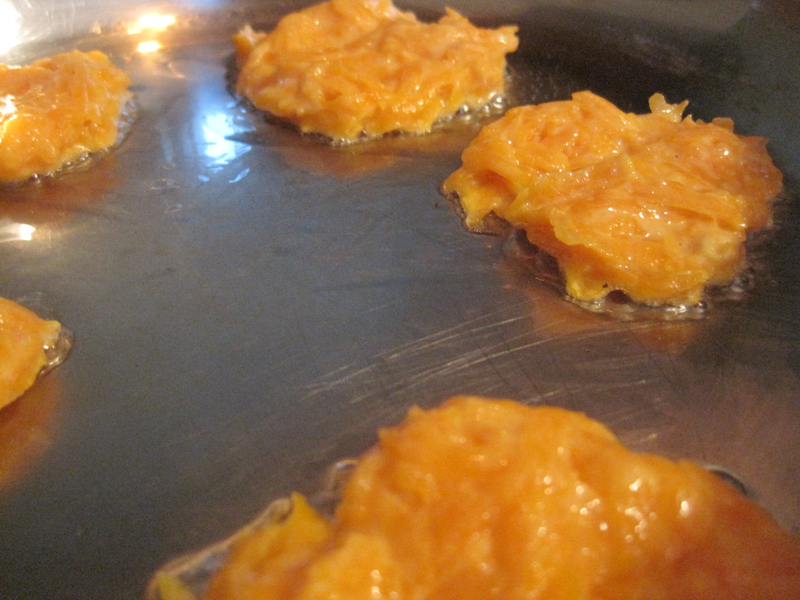 Spoon several fritters into the pan (not too many at once otherwise the process gets complicated). 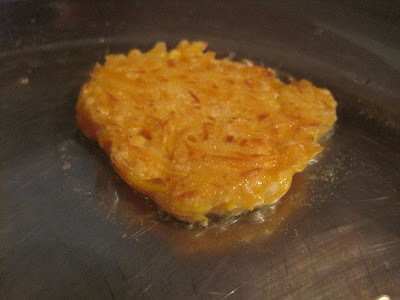 Cook the fritters for around 2 minutes from 1 side till golden, flip over to get golden color from the other side. Take the fritters out and keep warm till you serve them. Repeat the process, making sure there is enough oil and that oil is hot when you spoon the butter in. 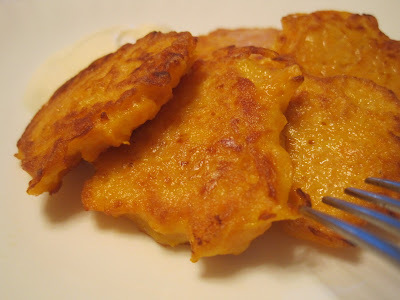 Serve warm with lots of sour cream (smetana) and enjoy. These fritters normally disappear very fast and so they did today. My little brother loves them, especially when he is allowed to eat with his hands.